I'm a maker (Trash Toys builder) and multimedia digital designer; I have published the first italian book created with QR Codes (title: GeoFilm Roma). I have published Cronache da Scratch, a novel book which contains seven short funny stories about Scratch world (MIT visual programming language) as seen by the sprite's side. 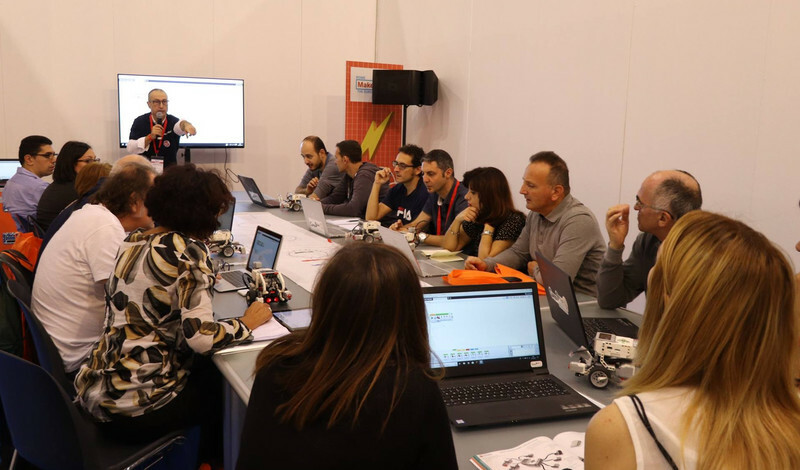 2018> Codemotion / MaKerFaireRome 2018 - I have designed the Creative Learning Area and the activities devoted to teachers/educators. I have also designed a TecnoFashion lab for parent-child couples. 2017> Codemotion /AdaLabs - I have devised the AdaLabs, girls-oriented technology courses with the aim of breaking down the gender gap in scientific and technological fields. 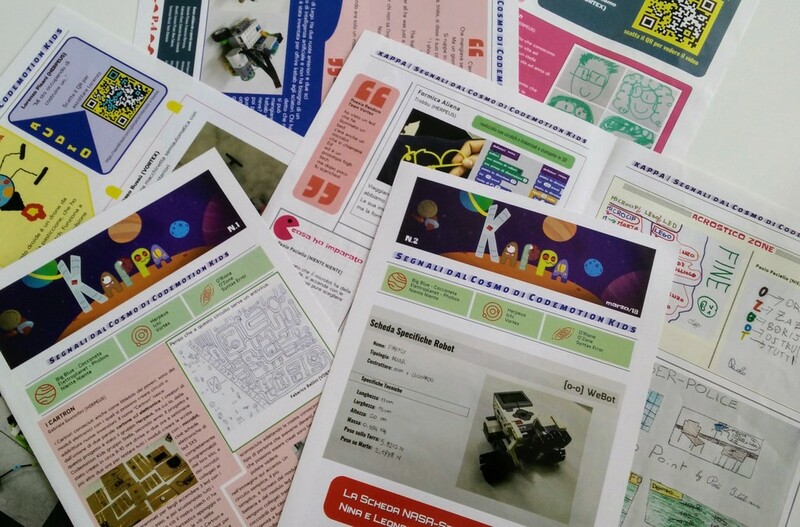 In particular, I designed and conducted the Robotics Girls (Robotics for girls 11-13) and MakeApp (app for mobile devices for girls 14-18) courses. 2016> Codemotion / Teacher Camp for Marymount International School Rome - Summer school for teacher about coding and digital fabrication. 2016> Codemotion / 5° TimGirlsHackathon (BARI CAGLIARI FIRENZE PADOVA) - Responsible of educational project and coach . In the course of the whole day, the participants took familiar with programming of APPs through the instrument AppInventor, then the groups have designed their first app on the topic of cyberbullying. 2016> Codemotion / TimGirlsHackathon VENEZIA TORINO NAPOLI CATANIA - Responsible of educational project and coach . In the course of the whole day, the participants took familiar with programming of APPs through the instrument AppInventor, then the groups have designed their first app on the topic of cyberbullying. 2015> successfully completed and received a passing grade in Mobile Computing with App Inventor, a course of study offered by TrinityX, an online learning initiative of Trinity College - Connecticut through edX. 2015> TimGirlsHackathon Milano - I collaborated with Codemotion to the design and implementation of the TimGirlsHackathon Milano, a one-day coding event, dedicated to high school girls. The event was held at the TIM #Wcap Accelerator in Milano. In the course of the whole day, the participants took familiar with programming of APPs through the instrument AppInventor, then the groups have designed their first app on the topic of cyberbullying. 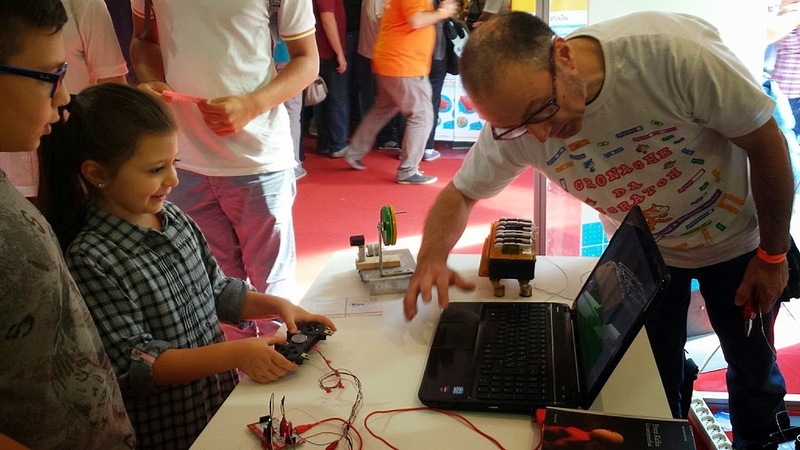 2015> Digital Accademia/ Makers Camp for Kids - Tinkering SummerCamp - designer and coach of the Tinkering Camp, held during the Makers Camp for Kids week at Digital Academy. During the five days camp, the participants have developed a thematic project, and created machines, creatures and objects, experimenting with different types of materials and tools in atypical way: such as clay, stones, recycled material, cardboard, motors, LEDs, wires , etc. 2015> TimGirlsHackathon Bologna - I collaborated with Codemotion to the design and implementation of the TimGirlsHackathonBologna, a one-day coding event, dedicated to high school girls. The event was held at the TIM #Wcap Accelerator in Bologna. In the course of the whole day, the participants took familiar with programming of APPs through the instrument AppInventor, then the groups have designed their first app on the topic of cyberbullying. 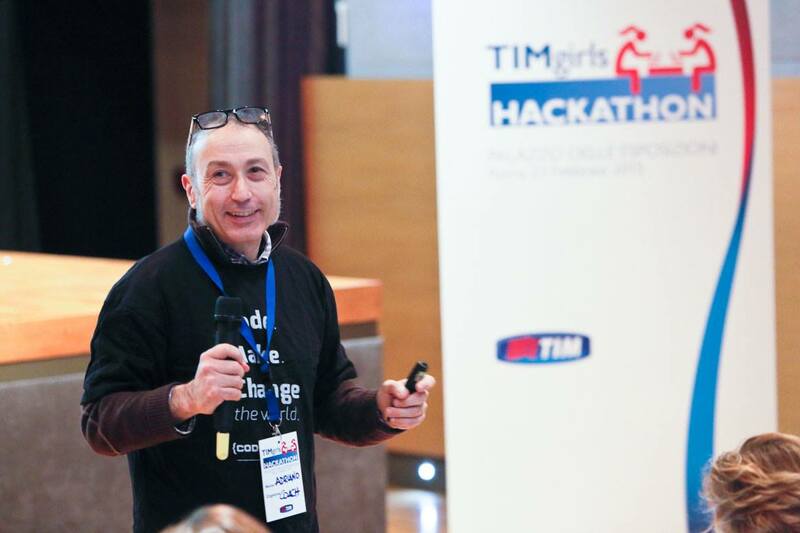 2015> TimGirlsHackathon Roma - I collaborated with Codemotion to the design and implementation of the TimGirlsHackathon, a one-day coding event, dedicated to high school girls. The event was held at the Palazzo delle Esposizioni in Rome. In the course of the whole day, the 70 participants took familiar with programming of APPs through the instrument AppInventor, then the groups have designed their app on the topic of cyberbullying. I have been one of the coaches of the event; holding tutorials in the morning, and supporting the girls in afternoon in the development of their idea / app through AppInventor. I designed and implemented training materials for mentors (TIM professionals) and the tutorials used during the event. I designed and created the graphic design for RollUp prints in the halls, inspired to "The Muse of the MIST" (italian for STEM)"
I designed and built the App "Le Muse della MIST", which illustrates the biography of some of the women who have made and continue to make the history of technological innovation. 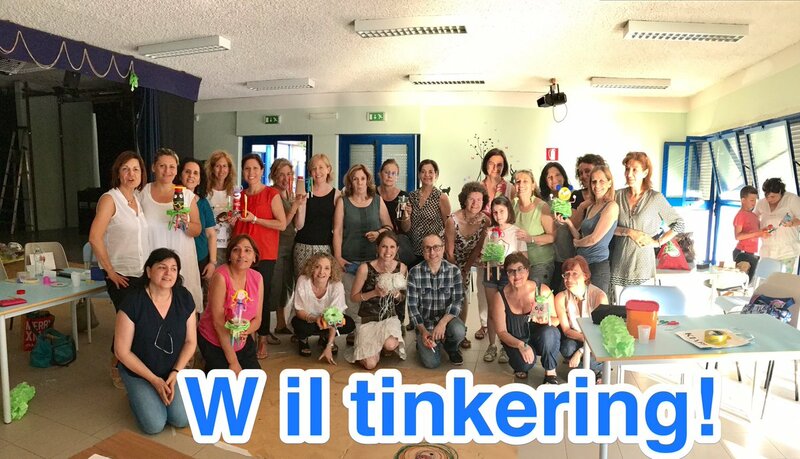 2014> Joined the first edition of Tinkering Fundamentals: A Constructionist Approach to STEM Learning, an OnLine Course, with certification, desigend and managed by Tinkering Studio / Exploratorium from San Francisco. Instructors: Mike Petrich, Karen Wilkinson, Luigi Anzivino. 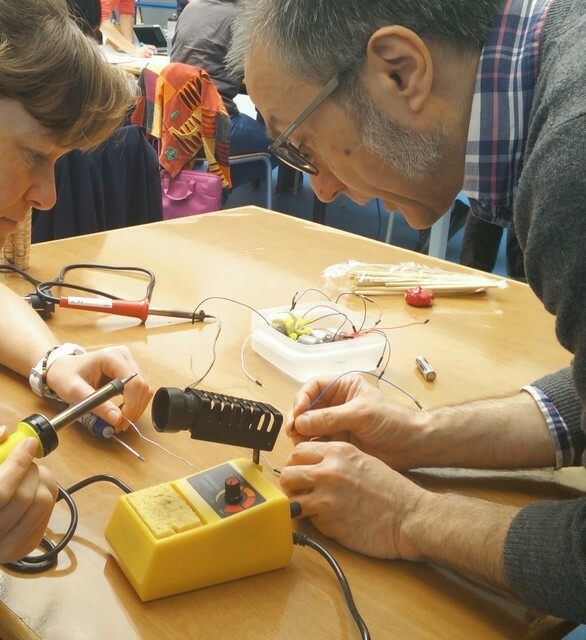 This professional development course helps educators develop a practice of tinkering and making. This course focuses on key design elements of high quality science-rich tinkering activities, facilitation strategies, and environmental organization. 2013 Published (self publishing) 11 caotice tracce (11 caotice's traces), eleven short stories, a mix of real and surreal, spy, noir, terrorism, company life..
2012 Conceived the CineTag project. 2010 Launched an international petition in favor of Alan Turing to ask the European Union countries to mint a coin in his honor in 2012, the centenary of the birth. dal 2009 founder and curator of Sottolineato - il succo dei libri a facebook community where posting quotes from books. 2008 Consultant for the first edition of "Teleschermi" the italian brainstorming about TV evolution (Sanremo, 28-30 may 2008). I take care of the definition of the Technological Pole, selecting ICT companies and defining the level of integration and collaboration. 2007 Dsigned and conducted the online seminar “How to increase sales with eBay”, for small businesse enterprise. Conducted in collaboration with FILAS (Financial Development Agency of the Regione Lazio). Animatore e Tutor dei corsi online sviluppati su piattaforma MOODLE. Offering: VoIP Solutions, Networking Turn Key Projects, Network Implementations Services (Mobile and Fixed), Telecom Management Solution, Post-Sales Services. Repsonsible & Trainer of the internal training “Sale techniques for junior sales people”. Coordinated the activities related to Y2K upgrading of the Italian side of Hermes Data Network, the European railways data network. Acting for Tele Sistemi Ferroviari, a Telecom Italia and Ferrovie dello Stato (Italian railway) company who manages in outsourcing the Ferrovie dello Stato Information System and Data Network. Team Leader of Branch marketing activities workgroup. Coordinated the technical activities in the pre-sales phase: Customer Analysis Requirement Network Solution Design, Proposal definition for System Integration, Maintenance, facility management, outsourcing. Training Course Resposible for ESA/ESOC network operators and administrators.